Been trying to work on really basic, easy compositions. 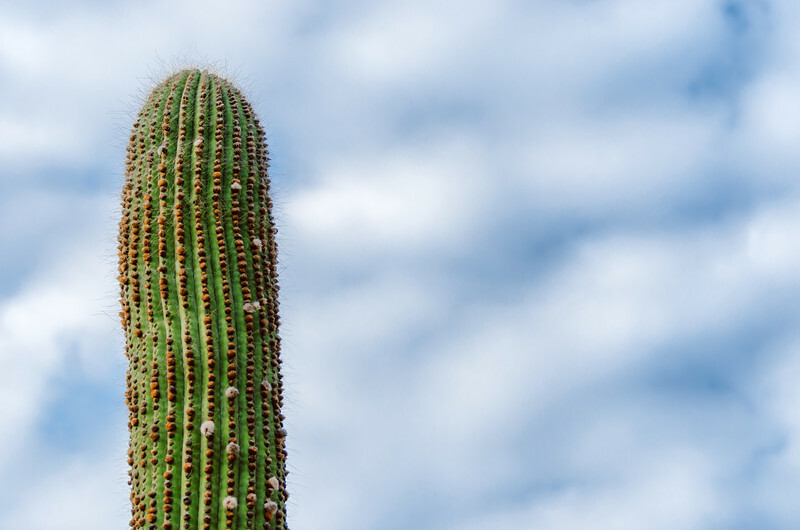 TOP PHOTO: it doesn't get much more easy and uncluttered than this -- top of cactus, some nice clouds and a hint of blue sky and that's pretty much it. The photo was taken with my Nikon D5100 and the Nikon 70 to 300mm telephoto lens. I didn't use a tripod. It was shot in RAW, processed in Lightroom with the help of VSCO slide film presets. 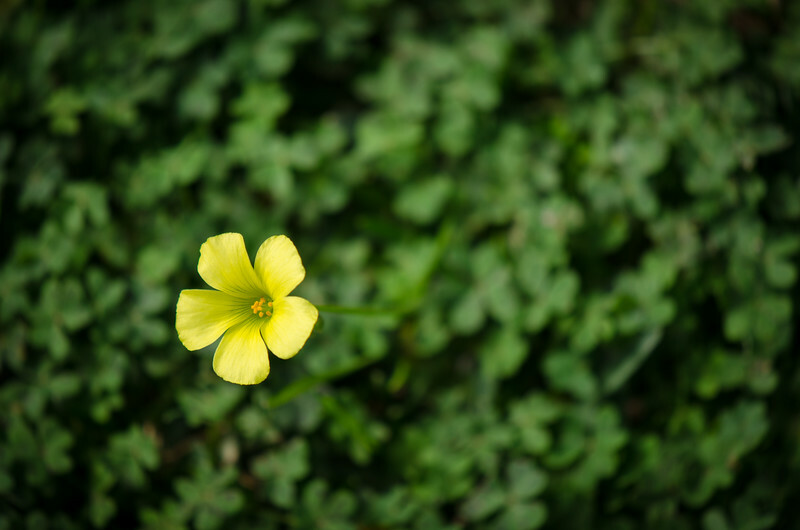 SECOND PHOTO: one along the same lines that I shot in my backyard -- just flower and grass. That's it. 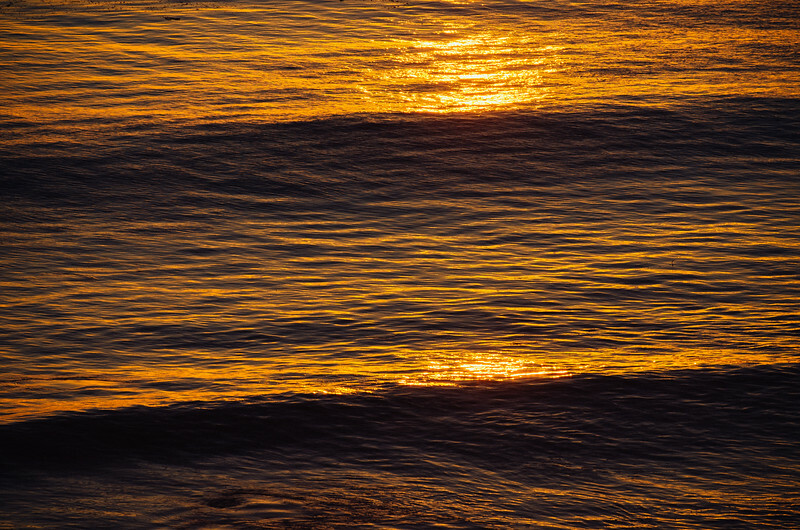 THIRD PHOTO: Just some waves reflecting the setting sun but nicely processed to emphasize the golden water. The wave crests are conveniently following the rule of thirds, neatly dividing the frame in a way that's pleasing to the eye. Bottom line: Simple is kind of nice sometimes. Even powerful. So here's an exercise for photo enthusiasts like me: look around for one thing to photograph. Not two things. One thing with all other eye clutter eliminated from your frame. Shoot a vase. A cup of coffee. A bike tire. Just that one thing with good lighting, whether it's natural or you manipulate the light (flash, reflector). I bet you'll be pleased with the results and this kind of simple approach will likely carry over into your other work, whether it's portraits, landscape or wildlife.